European Commission chief Jean-Claude Juncker earlier this month proposed an EU-wide investment screening mechanism amid growing concern in Europe about acquisitions by Chinese state-controlled or state-financed companies. China’s Foreign Ministry has expressed concern over the plan, saying the losses from such “trade and investment protectionism” would outweigh the gains. It is “somewhat unreasonable that the EU is accused of protectionist tendencies” when Chinese regulations restrict foreign investment in industries that remain open in Europe, Ambassador Hans Dietmar Schweisgut said in an article published on the website of the EU Delegation to China late on Thursday. “Chinese investors have been able to buy 100% stakes in EU car companies, banks or other key industries, while this would be impossible for European companies to do in China due to market access restrictions and forced joint-venture requirements,” Schweisgut said. “There is clearly a lack of reciprocity here, which cannot go on indefinitely,” he said. Schweisgut noted that EU investment in China is now decreasing. “This should be of major concern to China since European investors bring employment, tax-revenue, innovation and high-tech,” he said. “We hope that China’s forthcoming 19th Party Congress will speed up implementation of market-oriented reforms, bringing China’s policies into line with its vision of an open, rules-based and fair global economy,” Schweisgut said. 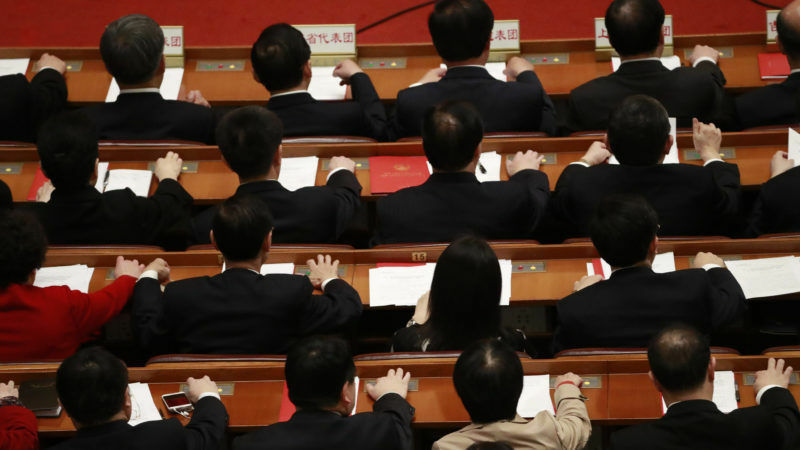 China’s ruling elite will hold a once-every-five-years congress starting on 18 October, at which the Politburo Standing Committee, the apex of power in Chinese politics, will see a new line-up of leaders under President Xi Jinping. Xi has repeatedly extolled the virtues of free and open trade to international audiences, but foreign business groups in China harangue Beijing for not matching Xi’s anti-protectionism messages with reforms at home. The European Union Chamber of Commerce in China has said that its member companies are suffering from “promise fatigue” and are not optimistic about Chinese leaders advancing market openings after the congress.